I have a confession to make: I’ve never skied in Europe. Sure, it’s something I’ve always wanted to do. And why not? This is where skiing was born; it’s part of a culture that goes back generations. Throw in breathtaking scenery, charming villages, and of course, incredible terrain and food, and you can see why it’s way up on my bucket list. All the same, I find the whole idea of a European ski trip a bit daunting. It’s like a huge buffet with all your favorite foods spread out before you. How do you even know where to begin? Lucky for us there are people like Heather Burke of TheLuxuryVacationGuide.com. 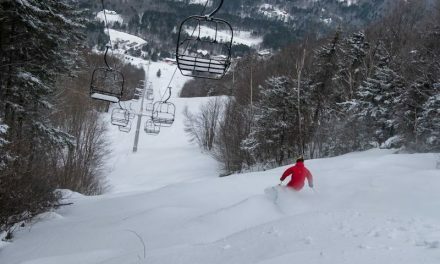 Heather makes it her business to check out 10-20 new resorts a season so she can tell the rest of us all about them (she’s already skied over 170). And that includes plenty of places in Europe. I spoke to Heather to get her take on how to plan the perfect ski trip in the Alps. SD: Why do you travel so much to new ski resorts? 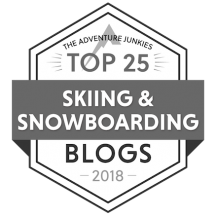 Heather: While I definitely enjoy the familiarity and friendliness of going to a resort I’ve skied before, it’s so exciting to discover new ski areas. There’s something suspenseful about skiing a trail for the first time, not knowing what’s around the next turn. I love that first panorama when you summit a new peak. I will never forget seeing the majestic Matterhorn for the first time – interestingly it was after a week skiing Zermatt without a view – just dumping heavy snow. When that iconic peak appeared in the sunshine, that was a pinch me “I love to ski” moment. 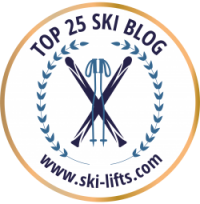 SD: What’s most different about skiing in the Alps versus the US? 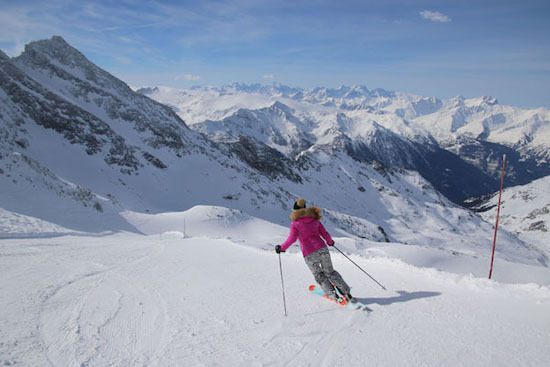 Heather: European ski mountains are huge, and while they don’t have as many trails, one lift will serve two or maybe three “prepared pistes” (groomed trails), leaving tons of unmarked natural terrain wide open, not roped-off that you can ski at your own risk. But, you should hire a guide to explore off-piste since this is big mountain uncontrolled skiing, with hidden rocks and crevasses, and avalanche risk. And there isn’t ski patrol like we have in the states. Pay the couple extra bucks for insurance with your lift ticket, since they helicopter you out for a mere sprained “skiers’ thumb.”Also, skiing is a lifestyle in Europe, not just a sport or pastime, skiers enjoy long leisure lunches, their aperitif, it’s very social, not just about getting in your ski runs. SD: Do you have a favorite ski resort in the Alps? Heather: So many to choose from! Europe has over 1,100 ski resorts (compared to 400+ in the US) and I’ve only skied 49 in Switzerland, France, Austria and Italy so far. Surely, I haven’t found my favorite yet, but I’m enjoying the quest. 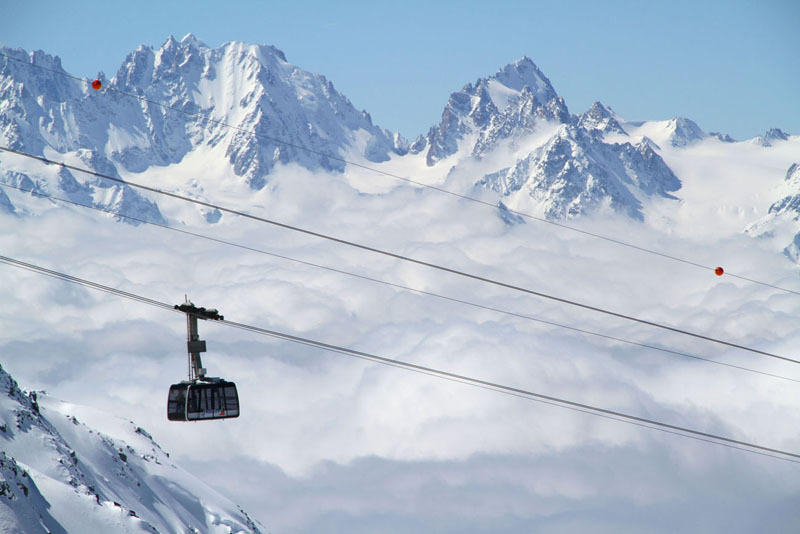 I love Courchevel France for its amazing views toward Mont Blanc, the delightful ski village, wonderful on-mountain chalets, lively après ski, and absolutely vast skiing — it’s part of the Les Trois Vallées — the largest interconnected ski resort in the world. Heather Burke skiing in Les 3 Vallees, Val Thorens. Photo taken by Greg Burke. SD: Where is the prettiest ski village in Europe? Heather: In Austria, Kitzbühel is the oldest and most authentic ski town. It’s also home to the most celebrated ski race, the Hahnenkamm downhill. This centuries old mountain town is breathtaking, and skiing is the heart and soul of the Arlberg culture here. St Anton is another classic alpine village, with chalets that look plucked from a vintage ski postcard. SD: What’s the most beautiful ski region in Europe? Heather: The Jungfrau is extraordinary. This Swiss mountain region is home to the towering majestic peaks of the Monch, Eiger and Jungfrau. Skiing here is jaw-dropping, with tons of terrain, and classic mountain towns of Grindewald, Wengen and Murren in each valley. Go to lunch at the Piz Gloria in Murren and enjoy a 360 revolution (in 60 minutes) with ever changing mountain vistas This is where James Bond’s legendary ski scene was filmed. Zermatt is extraordinarily beautiful too, a ski bucket list must. 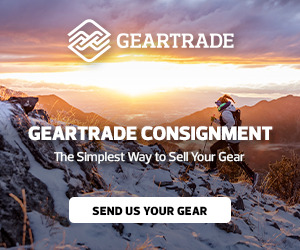 SD: Where would you suggest for a first ski trip to Europe? Heather: St Anton, Austria, is a classic alpine ski village. Staying in a quaint chalet, you have a variety of ski terrain, great mountain huts to ski to for lunch, and stunning scenery. 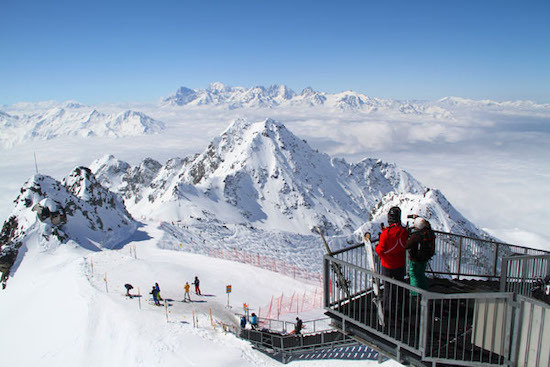 Your Arlberg Card is valid to a huge network of skiing — 88 lifts and 305 kilometers of ski terrain, so you can ski from St Anton all the way to Lech, Zurs and Warth ski villages — which is the quintessential Alps ski experience. Verbier Switzerland. Photo taken by Greg Burke. SD: What’d be good for someone who’s more adventurous? Heather: Portes Du Soleil is a fascinating ski expedition, you literally ski cross-country — Switzerland to France — as this gorgeous ski region of 12 villages includes 200 lifts and over 300 trails crisscrossing both countries. You don’t need a passport to ski over the border, just a good sense of direction and stamina to ski the circuit — Avoriaz, to Morgins, Chatel, Champoussin, Les Crosets, to Champery —around the ski “gateway to the sun” (portes du soleil). SD: Where do you suggest for foodies for an Alps ski trip? Heather: Most European ski areas offers quaint on-mountain chalets you can ski to for homemade lunch, a café or schnapps. But of course, the Italians win for the best cuisine is ski country — and a ski vacation to the Dolomites promises spectacular scenery and delicious food. The Dolomite Super Ski region comprises 1,200 kilometers of skiing in 12 regions, connecting 45 villages, with — no exaggeration — hundreds of chalet restaurants, so you can spend your ski day skiing from hut to hut, burning calories between stops (and shots). The Italians are also the best dressed on the ski slopes — no surprise there either, right? Its more about being seen than the skiing. SD: What’s a hidden gem in Europe that offers big mountain skiing, without big crowds? Heather: Saas Fee Switzerland is near Zermatt ; super scenic, with high elevation skiing, but it’s not high on most skiers’ list. Saas Fee has a charming car-free village, like a miniature Zermatt, manageable, fun and friendly, reached by train and bus. At Saas Fee you are surrounded by stunning glaciers in the high alpine. It’s absolutely spectacular, as are the views of the Swiss Alps in this beautiful Alps valley. Heather Burke has been writing about skiing for two decades. She resides on the coast in Kennebunkport Maine, when she’s not traveling the globe. 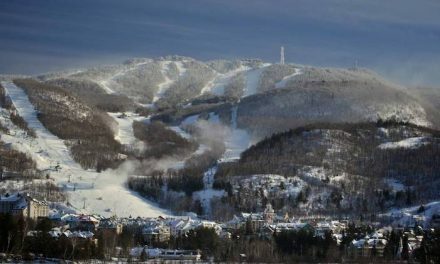 For more ski destination reviews by Heather, visit her sites FamilySkiTrips.com and TheLuxuryVacationGuide.com. NextWhy Glen Plake’s Down Home Tour Matters. I love this Wendy!… Have skied Kitzbuehl, Zermatt, Wengen, and Portes du Soleil…… and leaving tomorrow for St Moritz and Davos! Have a great time in Snowmass. Hope to catch Diva West next year.